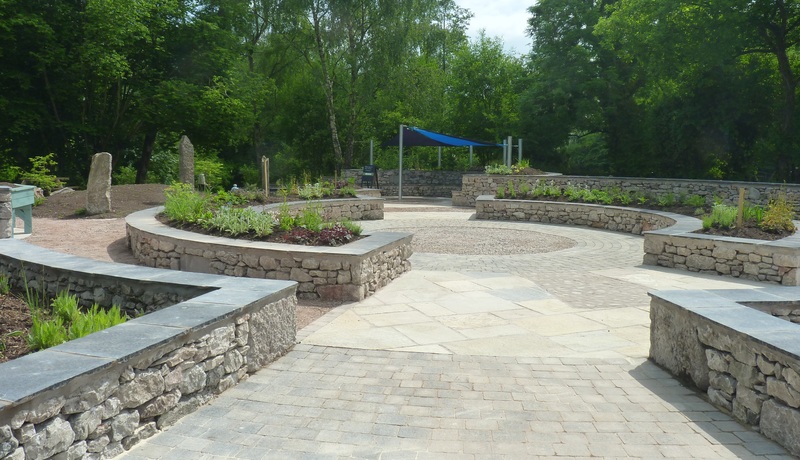 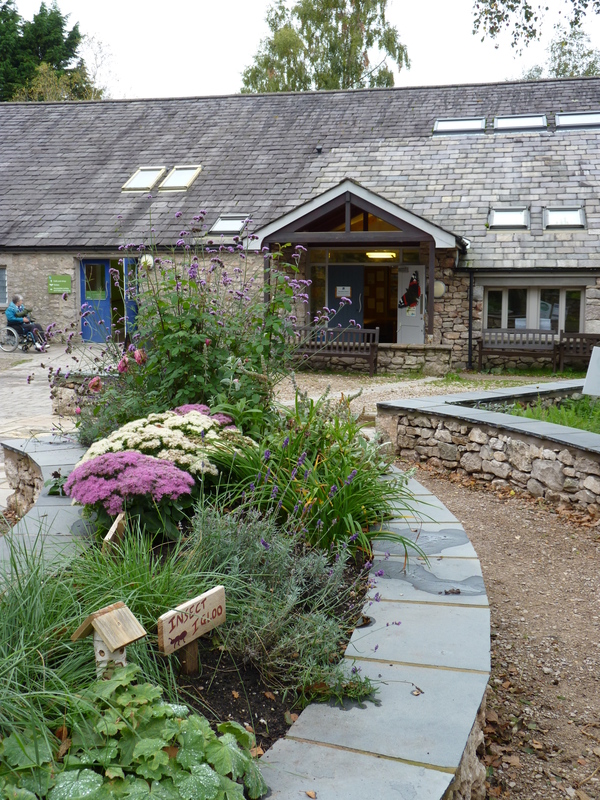 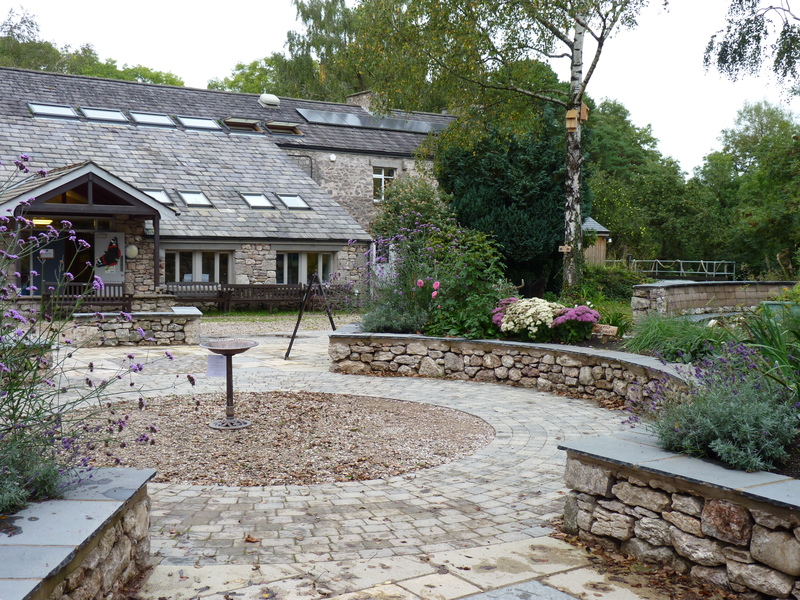 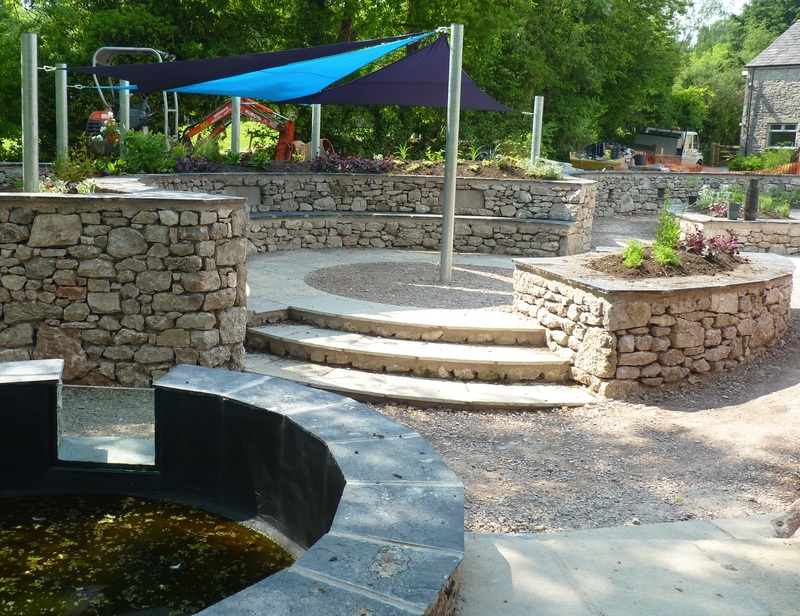 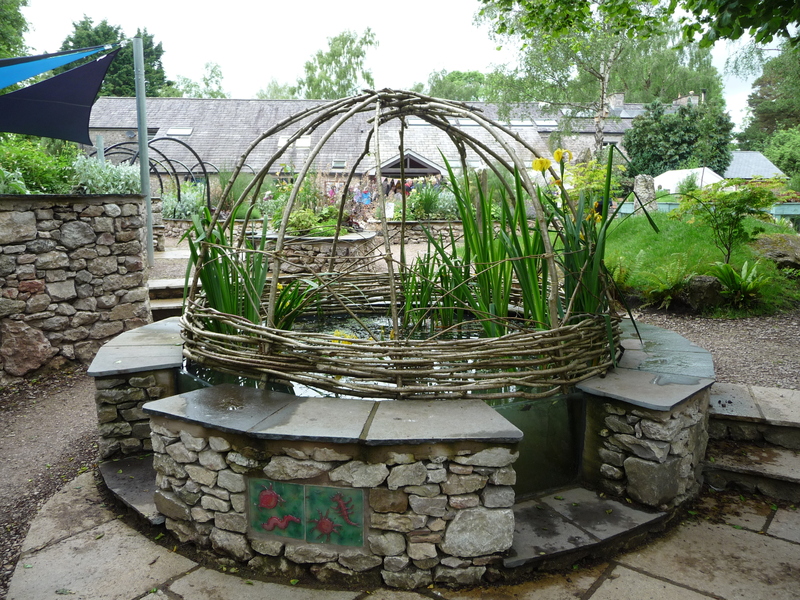 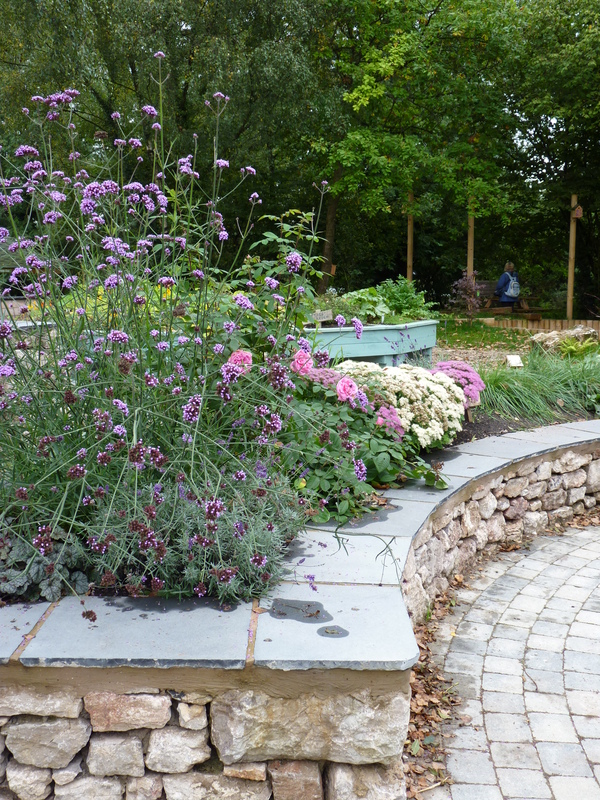 A popular nature reserve in the Arnside & Silverdale Area of Outstanding Natural Beauty, as part of improvements to the visitor experience, I was asked to design a sensory garden, in place of the car park at the rear of the visitor centre. 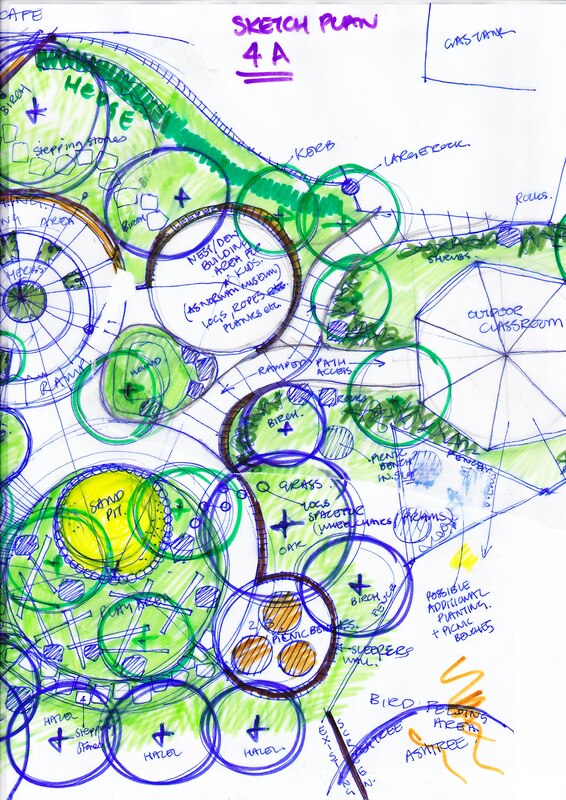 It had to be accessible for all, with the design emphasis on stimulating all the senses: sight, hearing, taste, smell and touch. 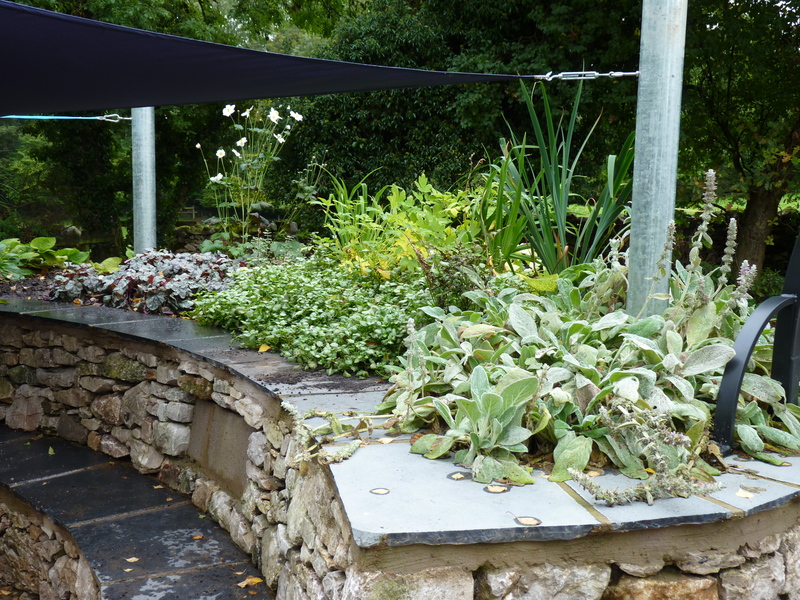 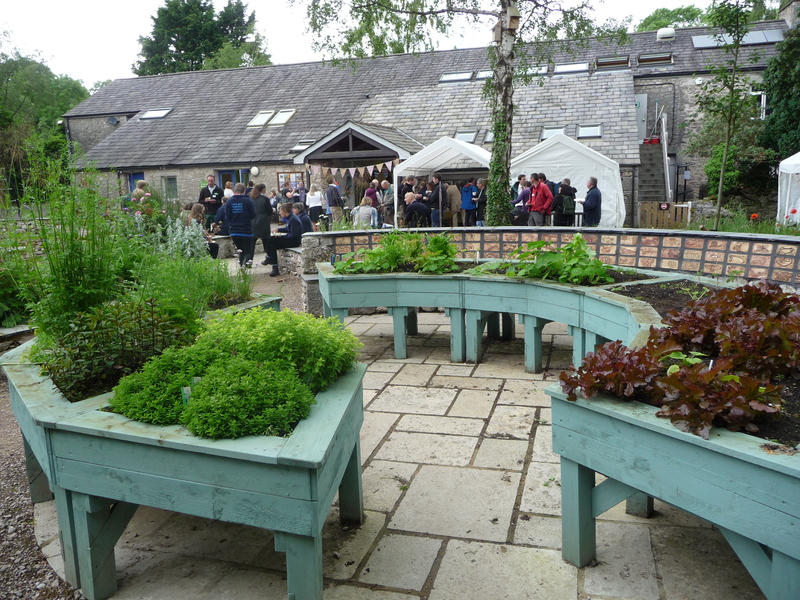 Plants chosen had to be non-invasive, wildlife friendly and safe for all human visitors. 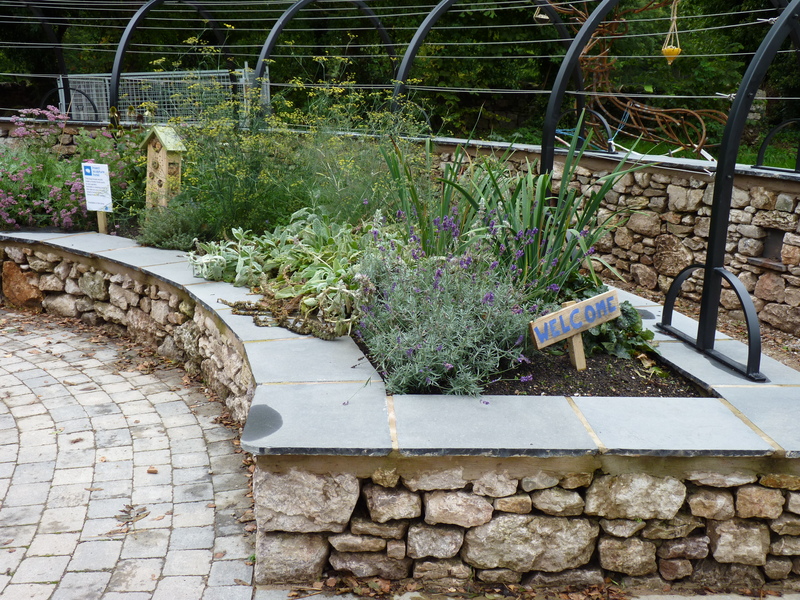 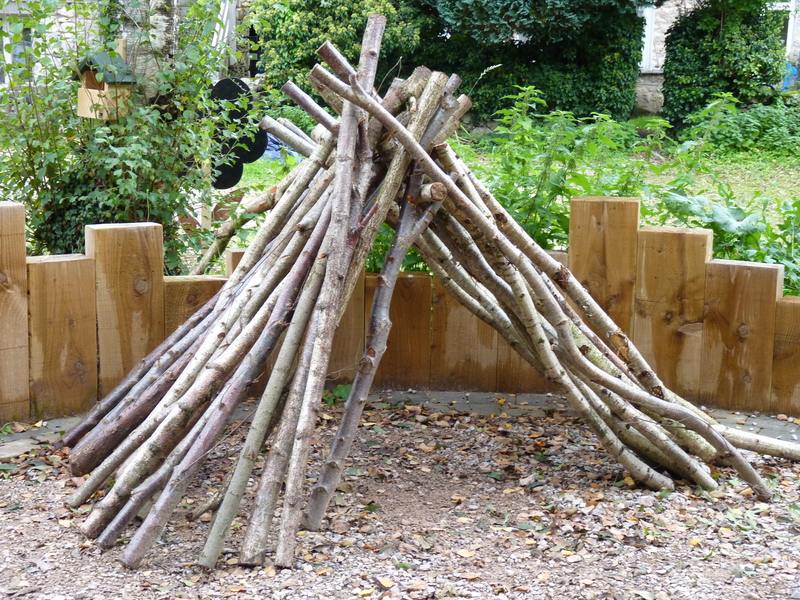 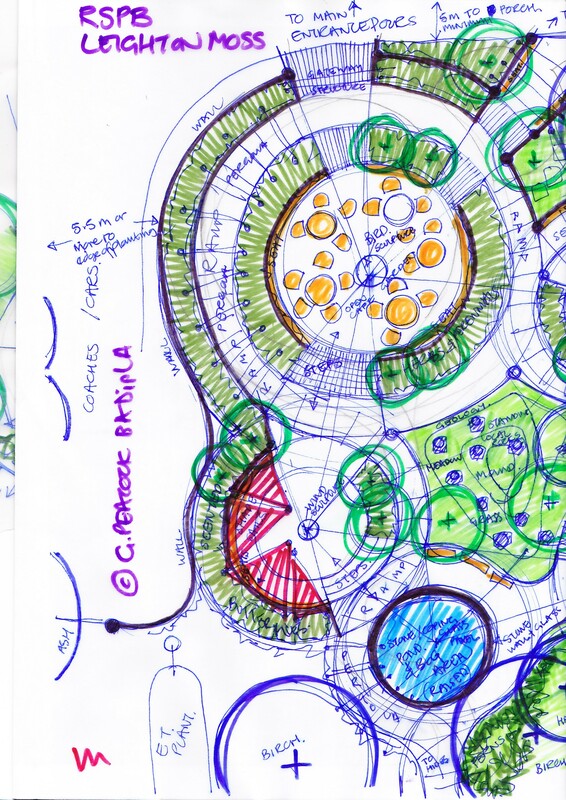 The garden is divided up into a number of zones: cafe garden (informal stone seats), quiet garden (shaded and raised) natural play & picnic area (to encourage families to use the garden) and the edible garden (raised beds for fruit and vegetable gardens). 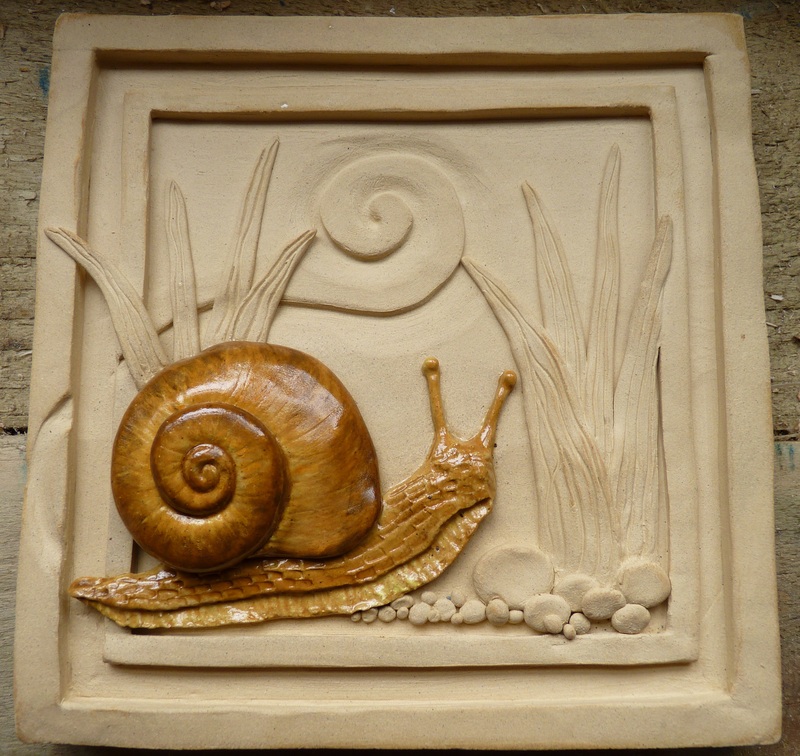 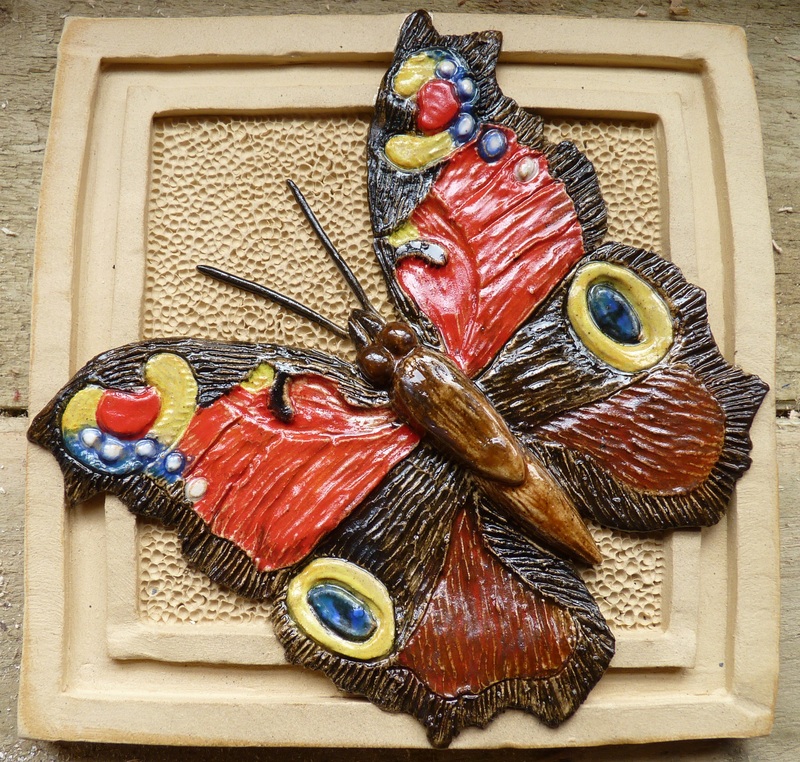 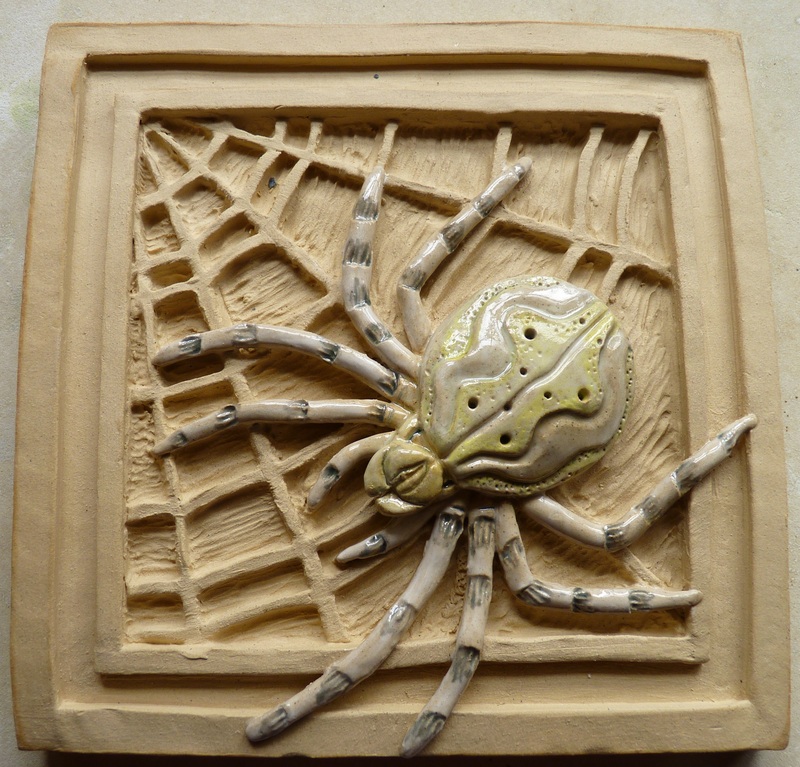 As part of the project I spend time at Dallam School, with year 10 pupils, helping them design and construct glazed stoneware tiles based on the wildlife they had seen on a visit to the reserve, these were then included within the new garden.